Arabian horses are a very hardy breed and can be expected to live a long natural lifespan of 25 to 30 years, similar to the general horse population. 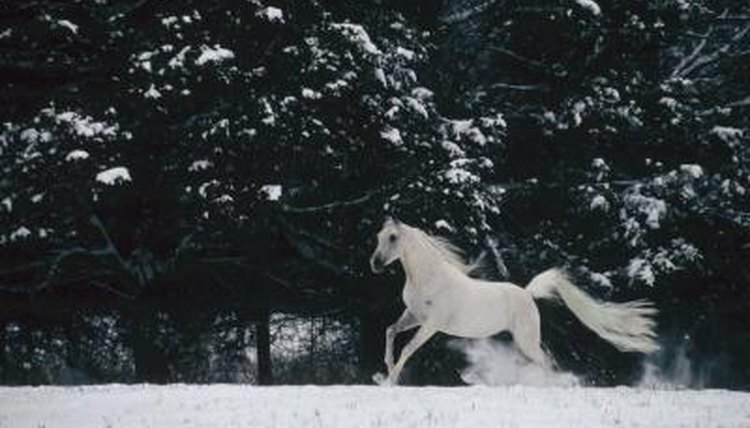 Some individual Arabians have been known to live well into their 40s. Arabian horses are smaller in stature than many other breeds of horses like warmblood and draft horses, and are estimated to have a slightly longer life expectancy than these heavier horses. In a study of geriatric horses performed by Dr. Mary Rose Paradis at Tufts Cummings School of Veterinary Medicine, Arabian horses were found to be among the top five horse breeds in the population of older horses studied. This was thought to be due to popularity of the breed rather than its longevity. The study found that ponies lived longer than horses, but did not find any breed-specific trends for longer life span amongst the horses studied.